PASTEL became Degas's preferred medium. Degas used sharper colors and gave greater attention to surface patterning, depicting milliners, laundresses, and groups of dancers against backgrounds now only sketchily indicated. 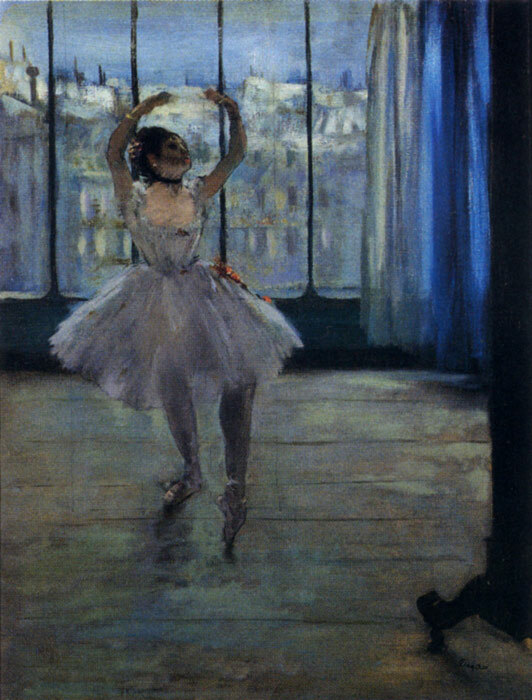 For the poses, Degas depended more and more on memory or earlier drawings. SPECIAL NOTE : The painter will make the reproduction as close to the original oil painting as possible. If you want your painting to alter from this likeness, please email us and " Dancer At The Photographer's Studio, 1875 " will be reproduced according to your special requirements.